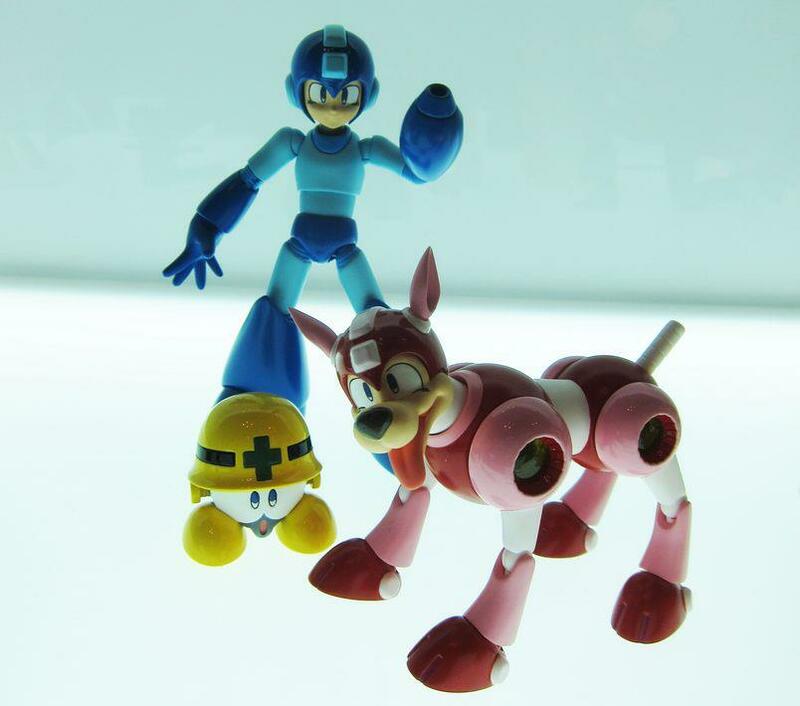 Bluefin/ Tamashii Reveals D-Arts Classic Megaman Figure with Rush! The original blue bomber is back in action figure form! In celebration of the 25th anniversary of the original Japan game release, Tamashii Nations is proud to announce the long awaited and highly requested release of classic Megaman into the ranks of the advanced D-Arts high-articulation action figure series. Fan feedback was critical in the design of this set, which features Met and Rush figures! Superior articulation allows for recreating a variety of action poses. Also included in set is an extensive array of accessory parts such as shot effect parts, as well as two interchangeable face parts, additional right arm Mega Buster parts and Mega Buster barrel opening part, interchangeable right arm, and interchangeable left/right hand parts.